Forty-five Masons from as far away as Sweden and Newfoundland attended the Fellow Craft Degree at Gulf Beach Lodge last night. Prior to the Degree the brothers enjoyed a steak dinner prepared by Junior Warden Mark Sawa-Szostak. Brother Tasos John Oureilidis was passed to the Degree of Fellow Craft in very fine fashion by the officers of the Lodge. The Winding Stairs Lecture was delivered by R:.W:. Howard Knapp and the Charge by Brother Bobby Burkett II. 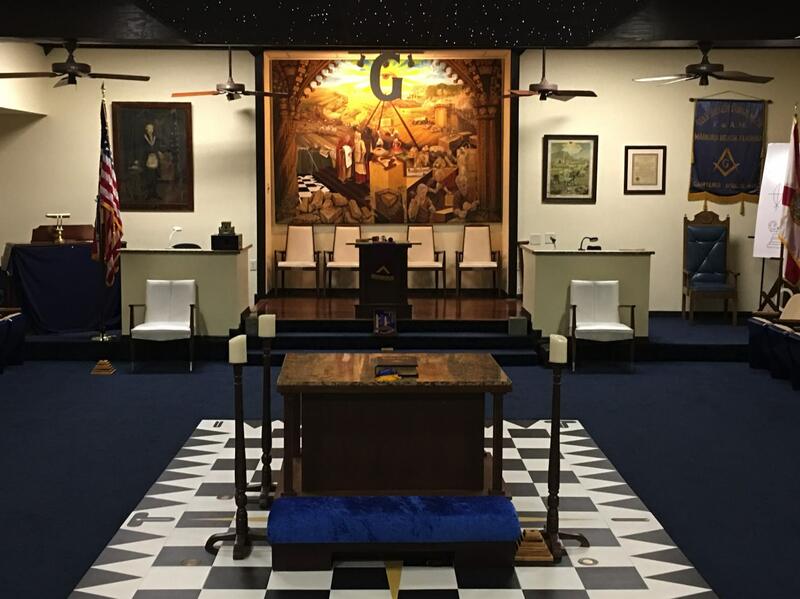 Hours First & Third Thursdays: Stated Meetings - Dinner or Buffet 6:30 pm; Lodge Opens at 7:30 pm. Visitors are always invited to have dinner with us. Second & Fourth Thursdays: Called Meetings are held at the same times: usually degree conferrals. Fifth Thursdays: Consult the Calendar. Gulf Beach Lodge is dark during July and August. That means there are no lodge meetings, but other events may occur and will be listed on the Calendar. Copyright 2018 Gulf Beach Lodge. Email the webmaster.